For this special event, we will look at the step-by-step process for designing an awesome, user-centered app! In specific, this instructional presentation will focus primarily on how you can use the exciting, powerful application Adobe XD – an impactful user experience design tool for high velocity wire framing, visual design, interaction design, prototyping, previewing, and sharing – to bring your unique app to life. 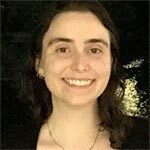 UCLA graphic designer Lauren Cullen will provide you with a clear overview of app design best practices and of the essentials for building an effective app design in Adobe XD. At UCLA, Lauren designs dynamic mobile apps, data dashboards, responsive websites, and branding for the academic and research community, as she is passionate about creating apps that make a difference. On Thursday, April 26th, she will draw upon her experiences in discussing how to design a strongly effective app that incorporates branding, animation, gamification concepts, and data collection. She will demonstrate an Adobe XD workflow for you that includes the use of Adobe Illustrator, will provide a summary of the key distinctions between XD and Sketch, and will recommend specific valuable resources for you that you can use in creating your designs into the future. In addition to designing at UCLA, Lauren is an instructor at UCLA Extension, where she enjoys teaching Adobe Illustrator online in the Design Communication Arts program. Also a writer, she contributed the Introduction to legendary artist John Van Hamersveld‘s Drawing Attention book, a cover story for LA POP arts magazine, and countless graphic design and technology articles for multiple online publications. We’ll have food courtesy of SkySilk Web Hosting and smoothies courtesy of Karuna. There’s limited seating for this month’s event, so RSVP early and make sure you join us at BLANKSPACES on April 26th!